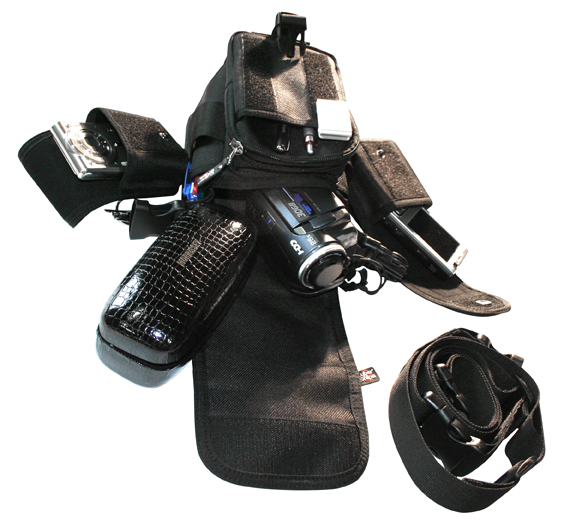 The Cyber Snipa Blackhawk bag was designed for armed service personal for their most essential equipment. This bag has two detachable mini bags that are perfect for Cell Phones, Cameras, PDA's etc. Each of these bags have the quick release buckle snaps that allow you to attach these independently. The main bag has a cool detachable over the shoulder carry strap. Now you can configure your webbing for maximum comfort. The main compartment is a generous carry all area that is perfect for everyday gear. This bag has a total of 7 compartments - some are carefully concealed for maximum security. With the Cyber Snipa Blackhawk you will be locked and loaded for urban action.